Apple unveiled the long-awaited 12.9-inch iPad Pro at its "Hey Siri" media event in San Francisco on September 9. The massive tablet, which resembles a larger iPad Air 2 in design, has a resolution of 2732 x 2048, which is 5.6 million pixels -- more than any iOS device and higher than the MacBook Pro with Retina display. It's massive but it isn't a big burden to handle. Overall, iPad Pro is perfect for those who enjoy watching movies on a portable device. 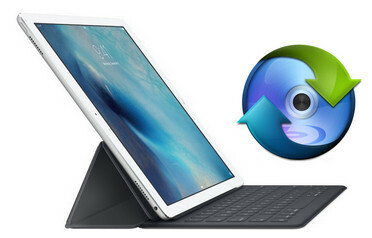 If you have movies on Blu-ray discs and you want to get them on your iPad Pro for amusement on the go, you will find some useful information in the tutorial below to convert and rip Blu-ray to iPad Pro on Mac OS X (E1 Capitan & Yosemite included). In fact, it's easy to watch Blu-ray movies on iPad Pro as long as you got a Blu-ray Ripper in hand. 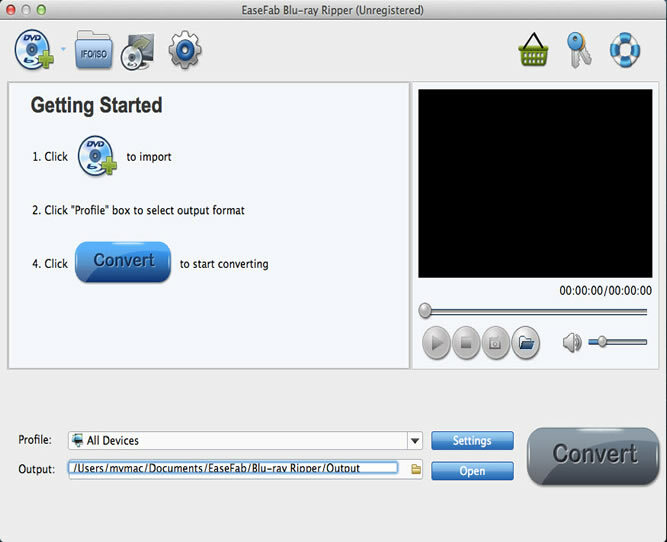 The recommended Blu-ray to iPad Pro Converter is EaseFab Blu-ray Ripper for Mac. It can professionally rip any Blu-ray discs to iPad Pro compatible video formats with fast speed and excellent output quality. In addition, the Mac Blu-ray Ripping tool can also convert Blu-ray/DVD to various popular video formats like AVI, MP4, MOV, MPEG, FLV, MKV, etc. as well as rip Blu-ray/DVD to optimized video for playback on Samsung Galaxy, iPod, iPhone, Zune, Creative Zen, Archos, iRiver, Blackberry, Xbox 360 and more. If you're a Windows user, you can turn to the Windows version (Windows 10 compatible), which has the same function as the Mac version. The steps to convert Blu-ray to iPad Pro on Mac and Windows are the same. Mac version is compatible with Mac OS X 10.6, 10.7, 10.8, 10.9, 10.10 (Yosemite) and 10.11 (E1 Capitan). This guide uses the Mac version screenshots. Just make sure you download the right version. If you only have movies on DVD discs, please turn to EaseFab DVD Ripper. Insert the Blu-ray disc to the Blu-ray Disc drive or DVD to the DVD-ROM and click the "Load Disc" button to have movies uploaded to the Mac Blu-ray to iPad Converter. Here you can also import DVD folders, ISO files and IFO files to convert. b]Tips: To select the subtitles you like, simply click Subtitles and select the one you prefer. You can also choose preferred audio track from the Audio drop-down lists. 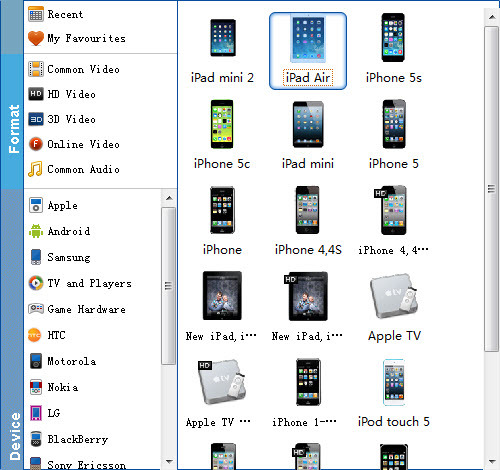 Click "Profile" box and move mouse cursor to "Apple" category, select "iPhone Air" as the output format, which will remove all the incompatibility issue for you. Note that you can customize the settings for the output by specifying format and destination folder. At last, click the Start button to begin converting Blu-ray movies to iPad Pro on Mac (E1 Capitan)immediately. The conversion only take 10-15 minutes or even less. Once you ascertain that the conversion is successfully completed, you can import the file anywhere you wish to even in the media player as long as the file is iTunes friendly. First, locate the output file where you have saved the videos. Then open the iTunes app so that you can import the converted Blu-ray videos to iTunes. This can be done by dragging and dropping the media file. If the transfer is successful you can further transfer the converted Blu-ray file to your iPad Pro and you can easily enjoy them everywhere you wish to. Additional Tips: iPad Pro only come with some much space, which easily gets filled up when you download apps and take a lot of photos or videos. In this case, you can go to get the Seagate Wireless Plus, which can help you take more than 300 HD movies with you and watch them wherever you go. With EaseFab Blu-ray Ripper, you can get all your movies on Blu-ray and DVD ready for Seagate Wireless Plus.